If you were born in 1967 or before, where were you on your 50th birthday? I know where I was on mine, Dec. 3, 1998. Gov. Zell Miller and I were sitting toe to toe in a state airplane, about 15,000 feet high in the clouds. Across the aisle was Rebecca Paul, the Georgia Lottery Corporation’s top executive. We were Albany-bound on an economic-development mission. The pointed toes of Gov. Miller’s cowboy boots were touching the tips of my black tassel loafers when I leaned forward to ask, “Who’s your favorite country singer?” Without hesitation, the father of our state’s education-enriching lottery fired back, “George Jones!” I knew the governor had two special affinities outside of politics: country music and baseball. The mountain man from Young Harris is an encyclopedia on both subjects. The governor was a personal friend of Jones, aka The Possum. I’m a fan of both men. One of my favorite George Jones tunes is “Choices.” He wails about living and dying by the choices we make. That could very well be the theme song of Wayne County’s plight in the Broadhurst Environmental Landfill saga. Our county commissioners made a choice a quarter-century ago to allow a privately owned regional landfill in our community. Unfortunately, the downside consequences of that choice were overlooked. By now, we all know the fallout of the 2005 choice of the commissioners to handcuff us into a 50-year contract with Republic. However, a growing number of people believe those “handcuffs” should be challenged, especially after Central Virginia Properties LLC’s stealth rail-spur application in January 2016. And that choice has kept us entangled in a modern-day David-and-Goliath battle ever since. Now, let’s go back to Gov. Miller. 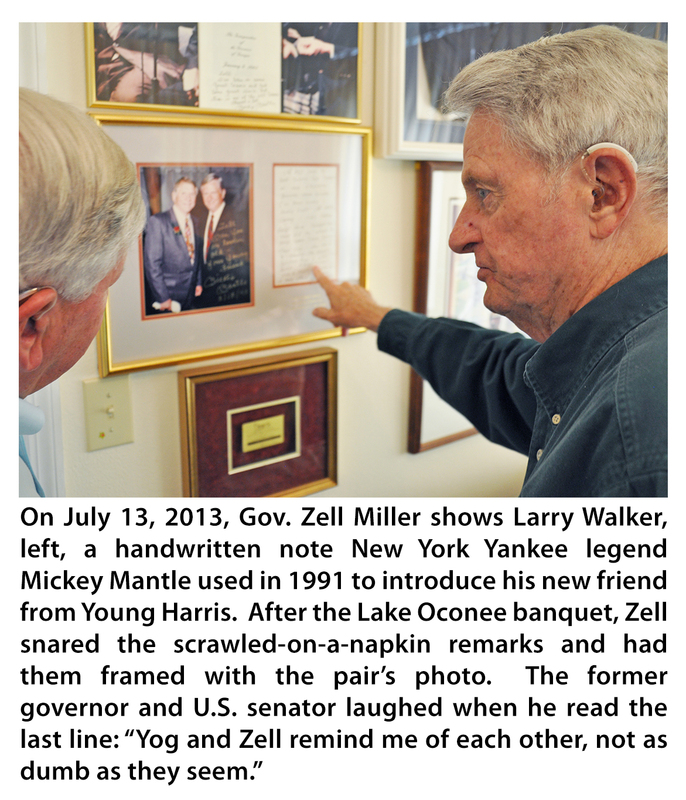 Four summers ago, Larry Walker and I nicknamed our road trip “The Legends Tour.” We stopped in Calhoun first to visit our friend Bert Lance, just before the banker-turned-political operative died. From there, we darted deeper into Northwest Georgia to see one of America’s most feared and revered attorneys—Bobby Lee Cook. In his signature seersucker suit, he regaled us with stories, and we left convinced our friend was the inspiration of TV’s Matlock. From Summerville, we drove to Young Harris to spend the morning with Zell and Shirley Miller. Inside that quaint stone home are two remarkable Georgia leaders. 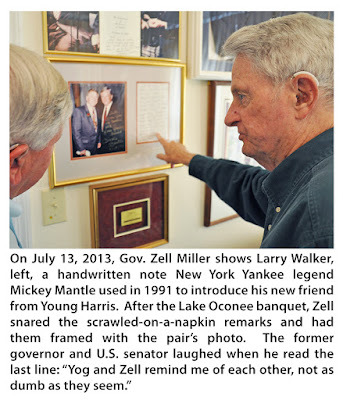 Until the bulk of his baseball memorabilia moved across the road to the Zell and Shirley Miller Library at Young Harris College, the Miller home was also a baseball museum. It’s still a library. Thousands of books adorn the walls. That brings me to Yogi Berra, who also wore Yankee pinstripes. 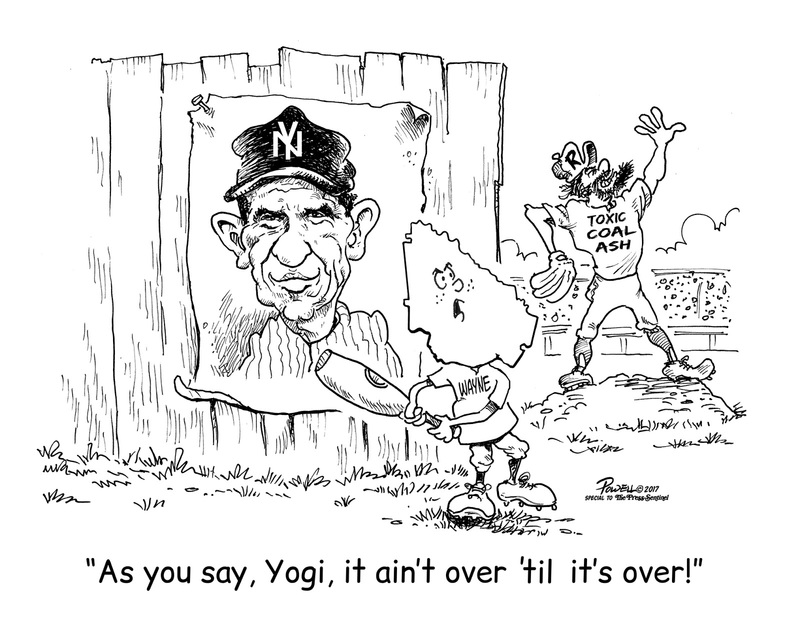 Besides being a Hall of Fame catcher and major-league coach, Yogi’s was good for quips such as “It ain’t over ’til it’s over.” George Jones could have used that line in one of his songs. 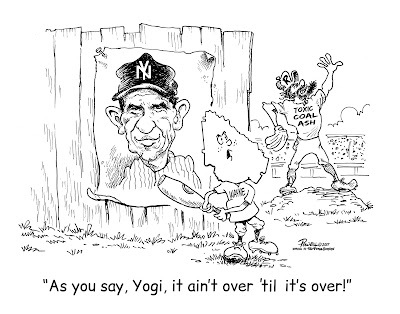 In the coming weeks, as we search for common ground in this Republic-vs.-the-people-of-Wayne-County debacle, I think we can look to both The Possum and Yogi for guidance. Whatever “choices” we make, we’ll be “living and dying” by them. There’s a river of legalese and emotions to wade through. Before this is resolved with the ultimate choices, there must be healthy rounds of discussion. And where should the citizens of Wayne County be? Right in the middle, making their voices heard.